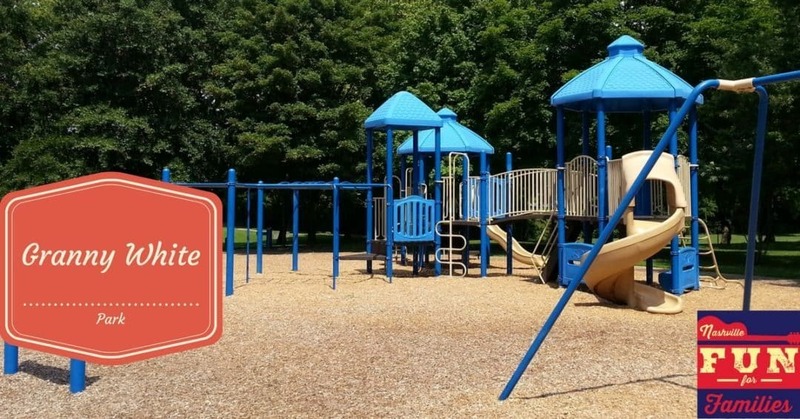 Granny White Park – Playgrounds, Bocce Ball Courts and More! Granny White Park is a 32 acre park located in Brentwood, TN. As you enter the park, the tennis courts will be on your left. There are four lighted tennis courts. A large open greenspace is on the right. This would be a perfect spot for a game of kickball! If your kids are like mine, the only thing they will care about at Granny White Park is the playgrounds. It is pretty large and there is lots of equipment. There is also seating surrounding the play area for parents. Just past the playground is the Rotary Pavilion. This large covered picnic shelter is a perfect place for parties, reunions or other events. You can find information about renting the pavilion at this link. There are also smaller picnic areas throughout Granny White Park and there is a public restroom and a water fountain. Across from the pavilion are the baseball and softball fields. These fields are lighted and have dugout covers. Granny White Park also has an area for basketball. So grab your baseball, tennis ball, basketball or bocce ball and head to this awesome park for some outdoor fun!